Frank O’Riordan, an Irish national and Irish resident, is currently President of the Securities and Investments Institute in Ireland and Director/Trustee of the AIB Group Pension Scheme, a role that he has held since 2012. He is also chair of the Investment Committee of the AIB Group Pension Scheme responsible for the monitoring of its investment managers and the overall asset strategy of the Scheme. Mr O’Riordan serves as an independent Director and Chairman on a number of Boards and has provided consultancy advice to asset management and fund management companies. 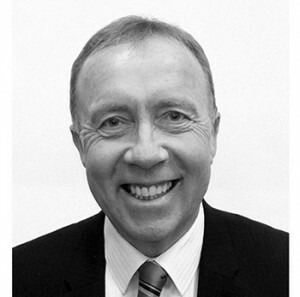 Mr. O’Riordan joined AIB Investment Managers Ltd. (“AIBIM”), the asset management subsidiary of the AIB Group in 1987. Initially, Mr. O’Riordan was responsible for the management and development of AIBIM’s investment services in Ireland, the UK and the US. He was subsequently appointed as a Board Member of AIBIM in 2002 and in 2006 was named Chief Executive and Chief Investment Officer. During this time, Mr. O’Riordan was also Chairman of AIB Funds Management Ltd, responsible for AIB’s funds business incorporating an extensive suite of investment funds. Mr. O’Riordan retired from this position in 2012 following the sale of AIBIM. Mr. O’Riordan graduated from University College Dublin (UCD) with Honours in Economics in 1977. He completed a Master’s degree in Economics at UCD in 1979.